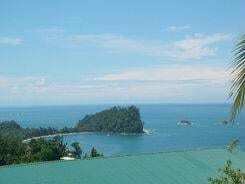 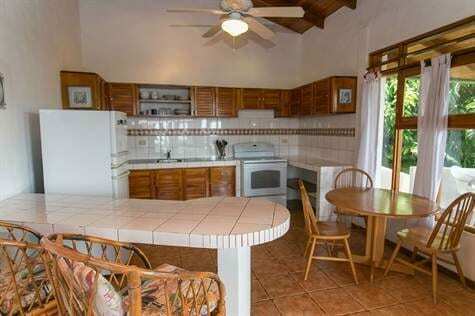 3 ACRES – 2 Fully Equiped 1 Bedroom Apartments w/ Great Ocean Views!! 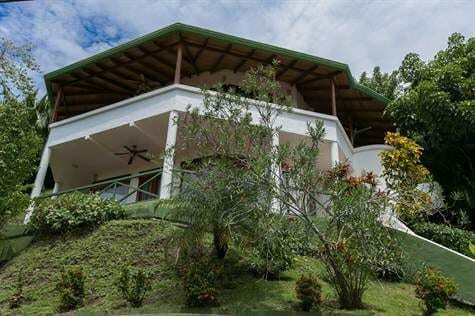 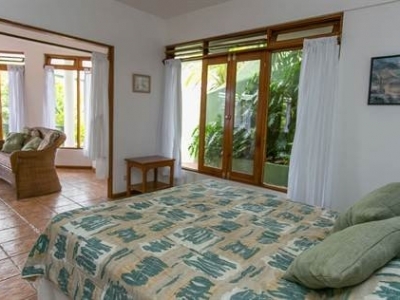 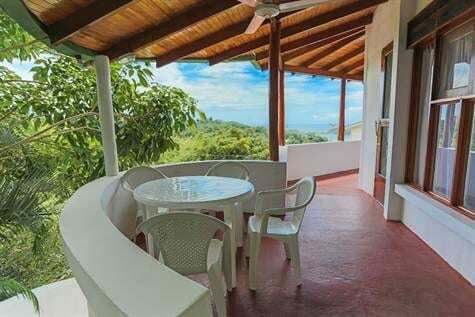 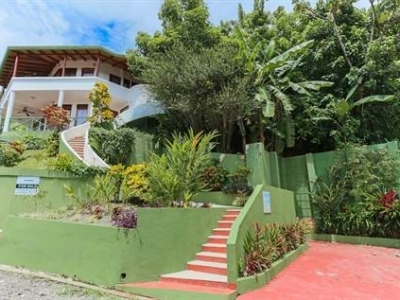 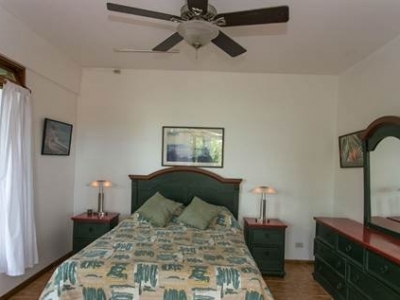 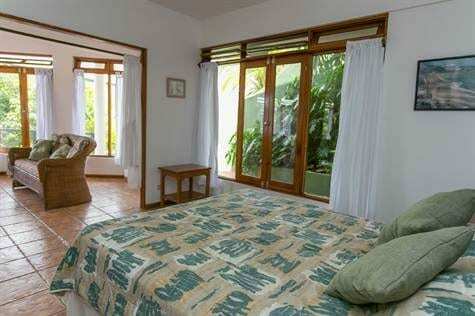 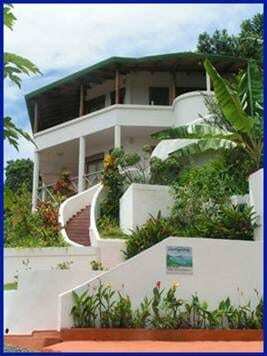 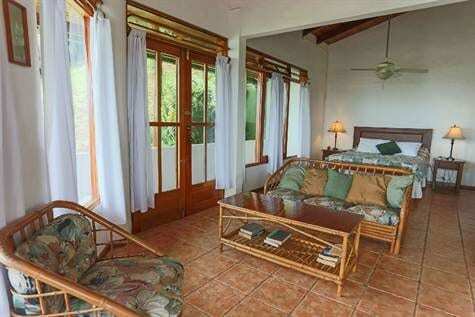 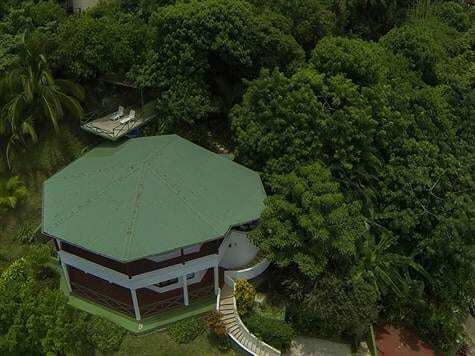 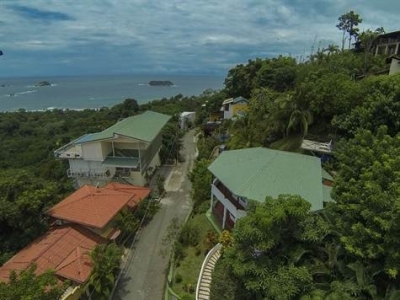 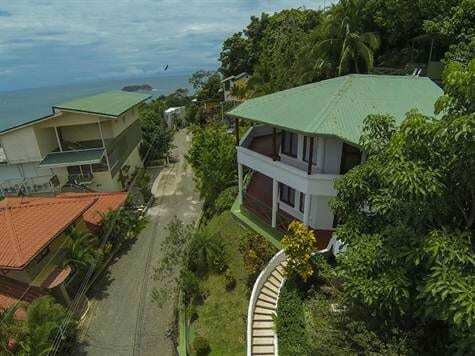 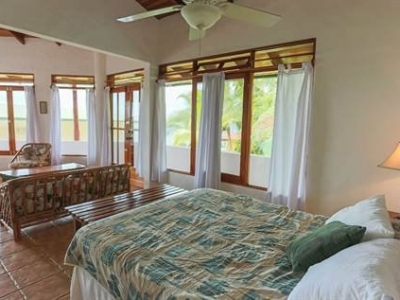 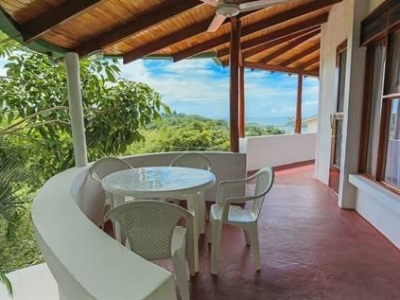 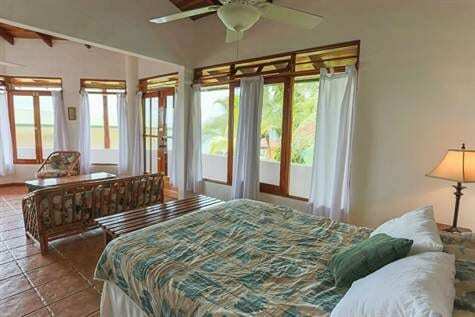 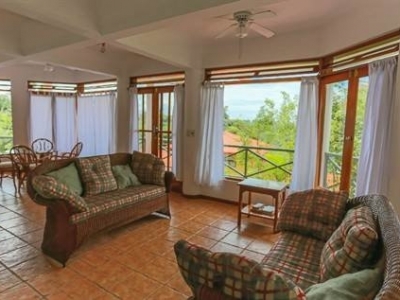 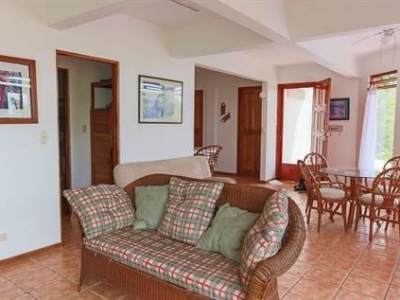 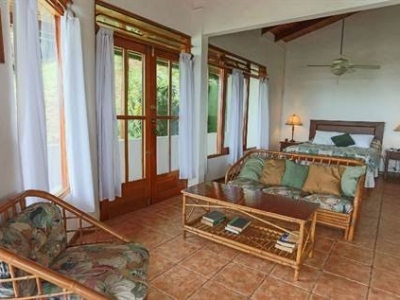 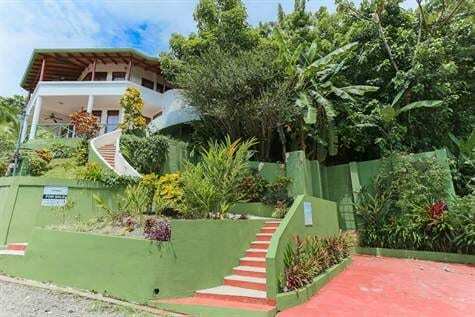 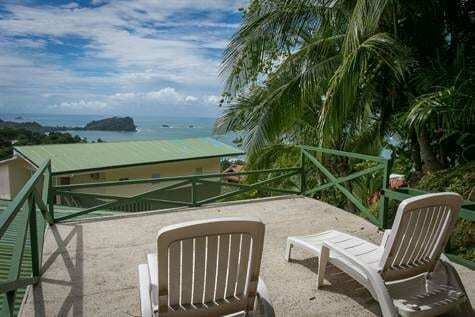 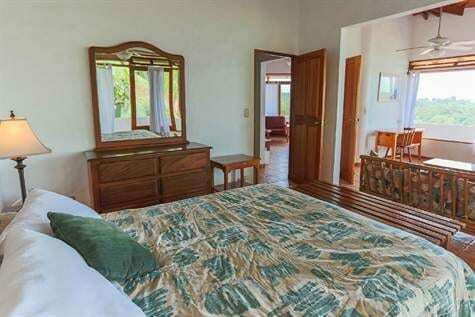 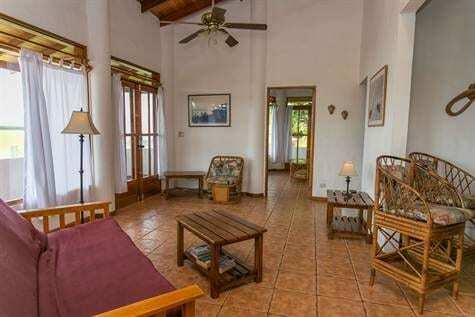 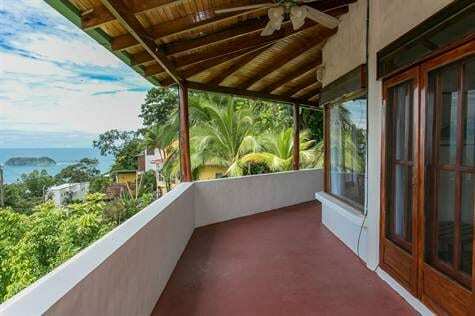 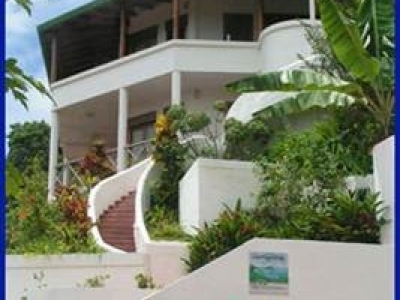 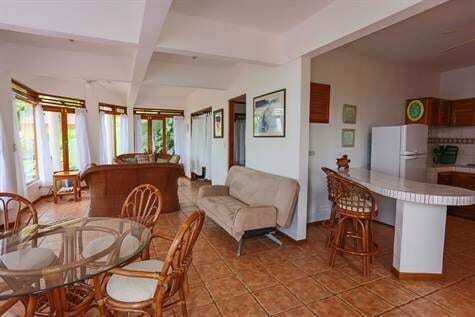 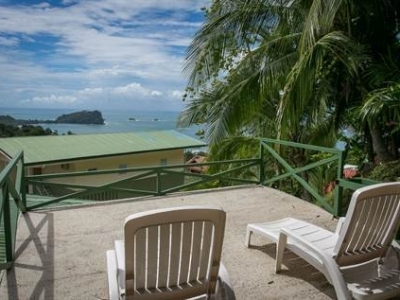 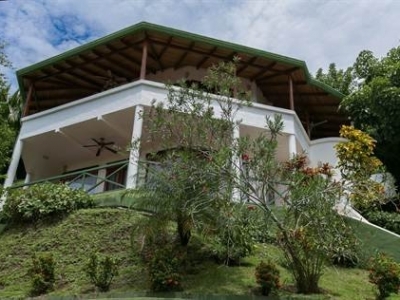 Casa Segunda Vida is nestled in the hillside of the exclusive Vista Azul neighborhood of Manuel Antonio. 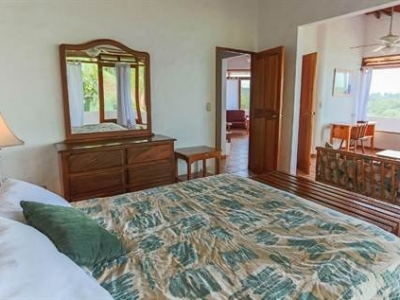 This home offers TWO SEPARATE, FULLY CONTAINED FLOORS.Each floor is designed as one-bedroom suite, with a fullkitchen, bathroom and spacious living room, which includes a futon. 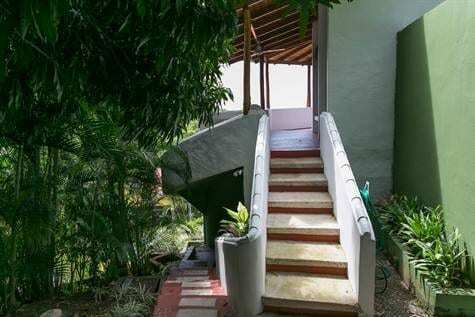 Each floor is designed to sleep 2 comfortably, with the possibility of 1 or 2 additional persons utilizing the futons in the living rooms. 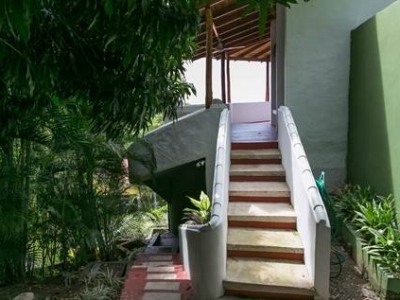 Each level has separate entrances and both levels are connected via an outside spiral staircase. 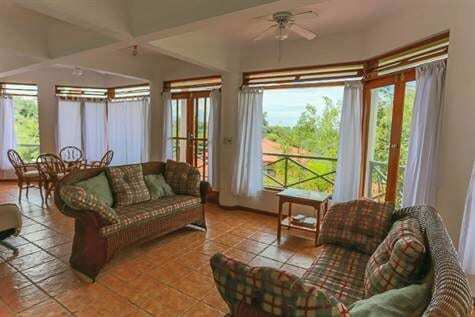 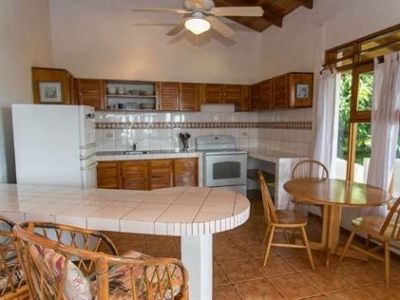 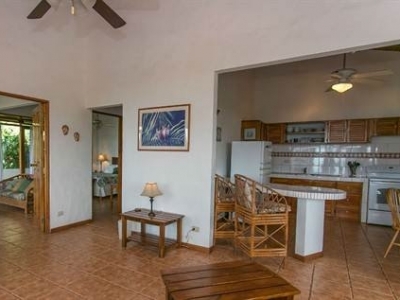 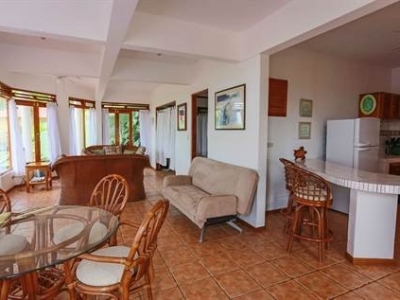 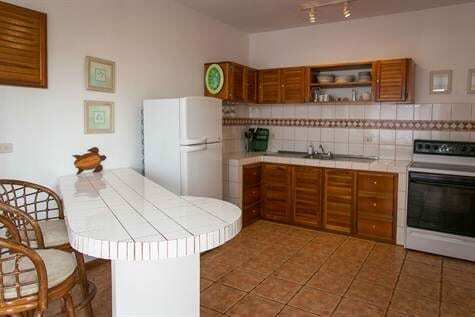 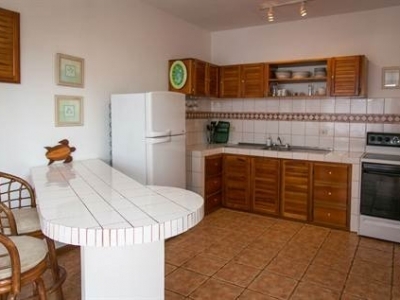 All of the appliances are to American standards and the home has been decorated to give our guests a true feeling of Costa Rican living. 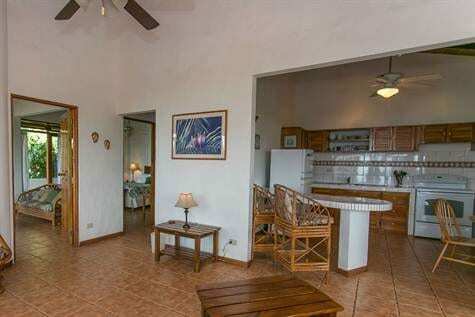 And, because of the architecture and location of the home, you will enjoy cool breezes day and night! 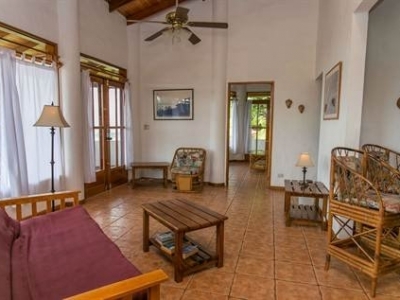 Casa Segunda Vida is about 20 meters from the main road. From there, heading to the right, it’s about a 1/2 mile to two beautiful beaches Espadilla and Dulce Vida, as well as the incomparable Manuel Antonio National Park with it’s own gorgeous beaches. 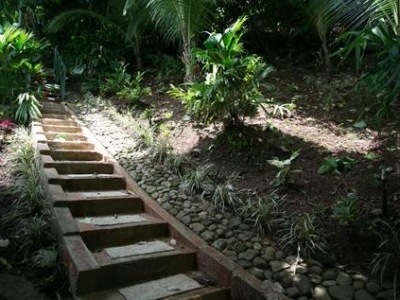 It is an easy walk getting there, but it’s uphill on the return. 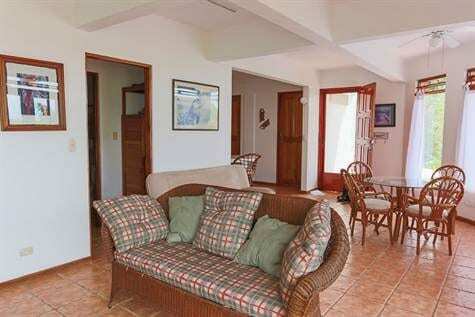 Hailing a taxi (cost about $2.00) or hoping on a bus (cost about 75 cents) is easy! 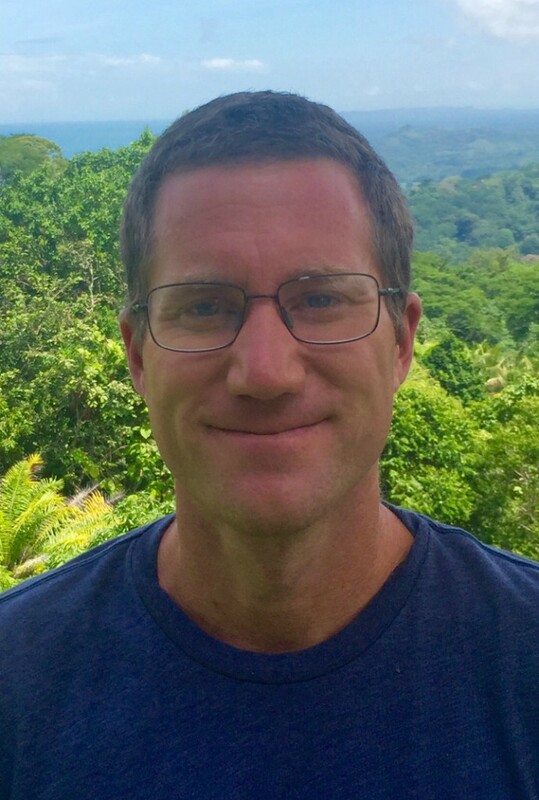 Or, if you prefer, you can head to the left for about 3 miles where the small quaint town of Quepos awaits you! 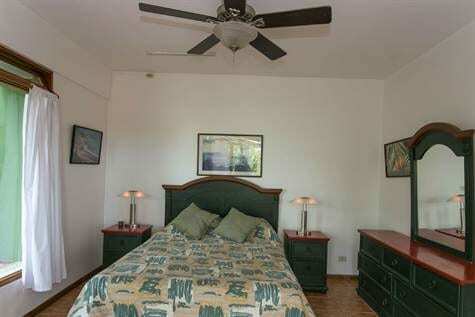 There you will find a wide variety of shopping, great restaurants and lively nighttime entertainment. 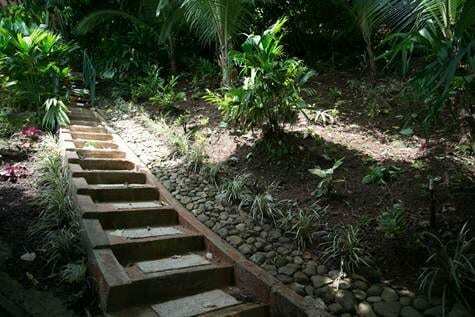 Getting there is easy as well. 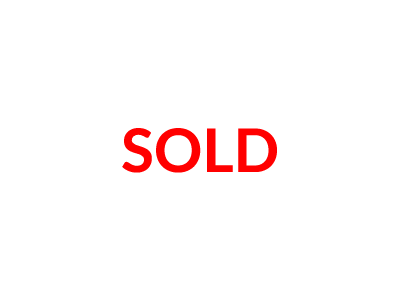 A taxi will cost about $3.00 and a bus about 75 cents. 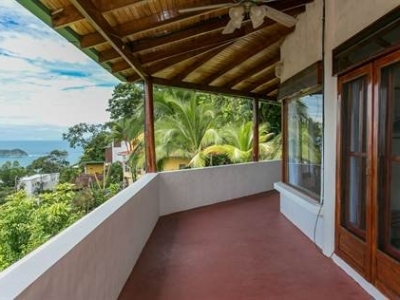 And speaking of restaurants Casa Segunda Vida is within walking distance of some of the best restaurants in Manuel Antonio!